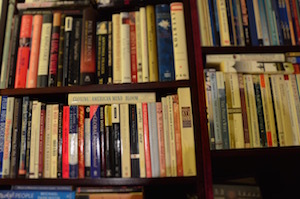 As readers in the English-speaking world debate about the merits of fiction over non-fiction, this distinction does not even exist in several cultures. In this article from The Guardian’s website, Richard Lea writes about how Bosnian, Arabic, Gikuyu and other languages label (or don’t label) genres. “There’s a mighty canyon that runs down the middle of the world of the word, carving through bookshops, libraries and literary prizes, splitting them into fiction and nonfiction…. “…according to the writer Aleksandar Hemon, this strange chasm doesn’t even exist in the language of his birth. In Bosnian, says Hemon, ‘there are no words for fiction and nonfiction, or the distinction thereof’.